I offer to you the same possibility that I shared at a press conference in my hometown of Shreveport. Billionaire George Soros is a social engineer in an age where America is susceptible to "progressivism," a cancer that has always been heavily funded by billionaires like Soros to fundamentally change the justice systems and school systems of our nation thus fundamentally changing America. This change must take root at the local levels with local pawns put in key elected or appointed offices. What does this mean to the local voter? 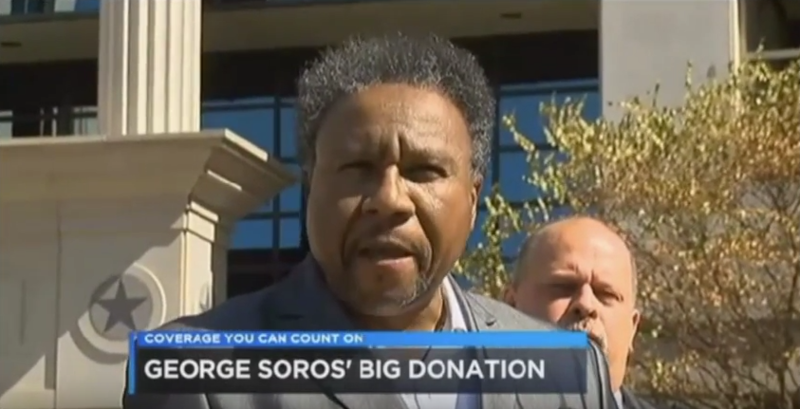 It means the will of your community at the ballot box can be stymied to the point that local courts and educational boards will not reflect your vote or the character of your community but the will of social engineers like George Soros. What is most telling about the design of progressivism is that the same tactic they have used to shape a mindset of targeted communities over a 50 year span is now the focus not only on the Black or inner city communities but also on communities that have areas with possibilities of falling under total federal control. It is time to ask yourself what outside money is causing the surprise candidates and winners in your local elections? WAKE UP!